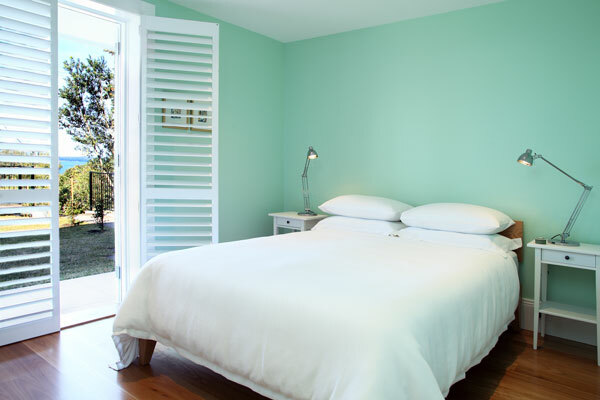 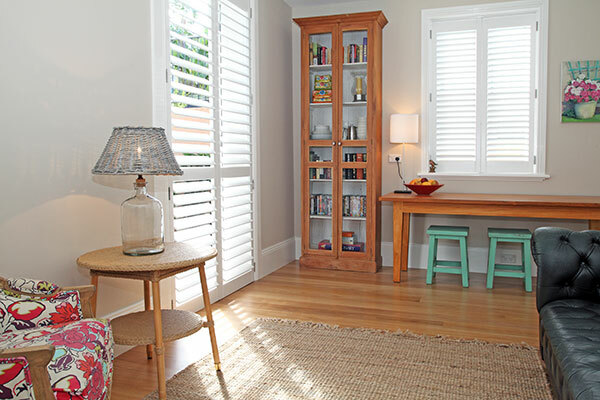 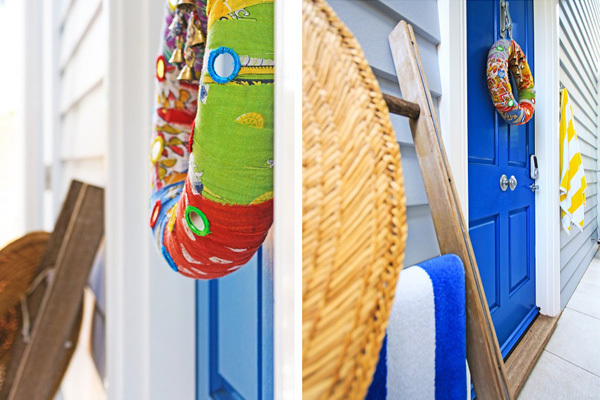 At Hyams Beach Bed and Breakfast we value your privacy and have designed your accommodation accordingly. 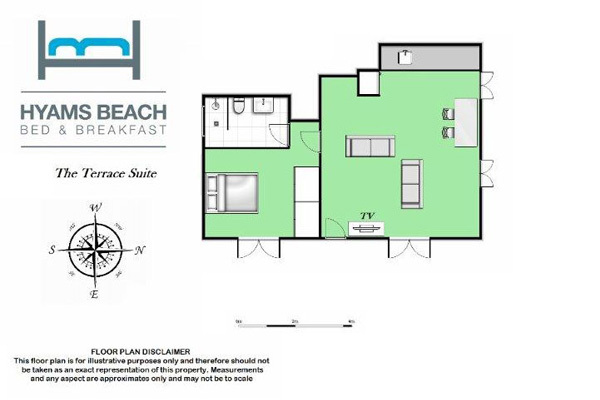 Each apartment consists of a living area, dining area, bedroom with queen size bed, ensuite and separate service area where light meals can be prepared. 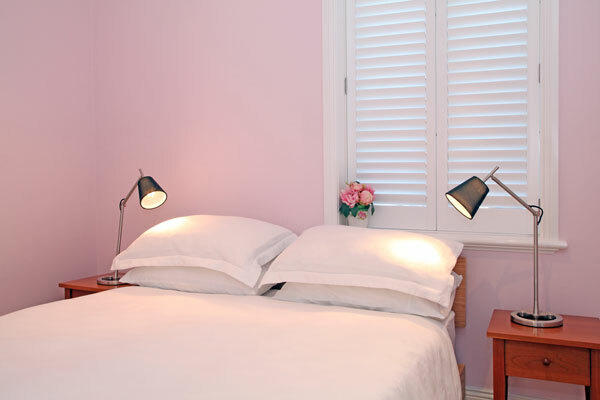 For your comfort there is heating for winter and ceiling fans for those long summer days. 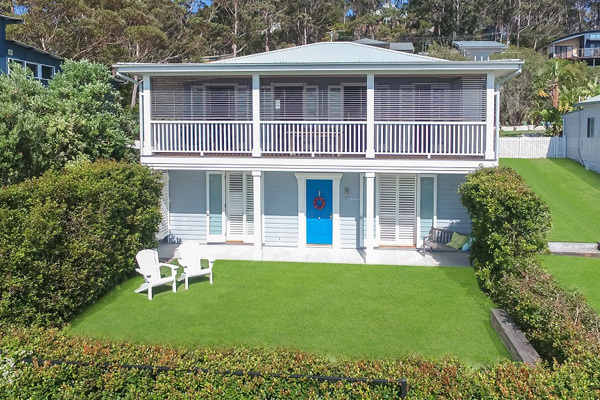 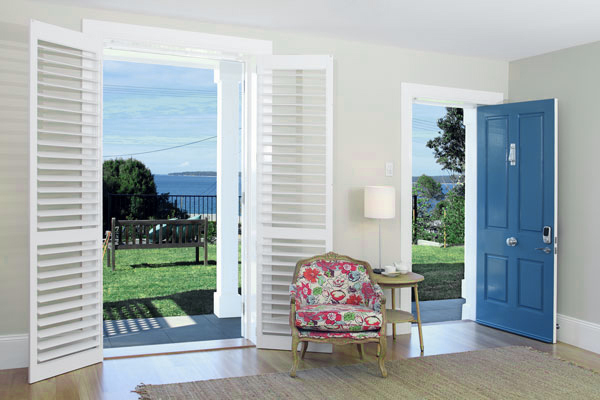 French doors open from your living area and bedroom to your own private lawn terrace that overlooks Jervis Bay. 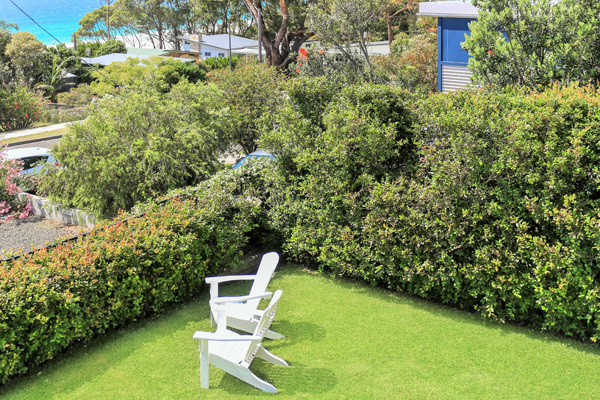 Sun lounges and outdoor eating area make this the perfect spot to laze on a sunny afternoon. 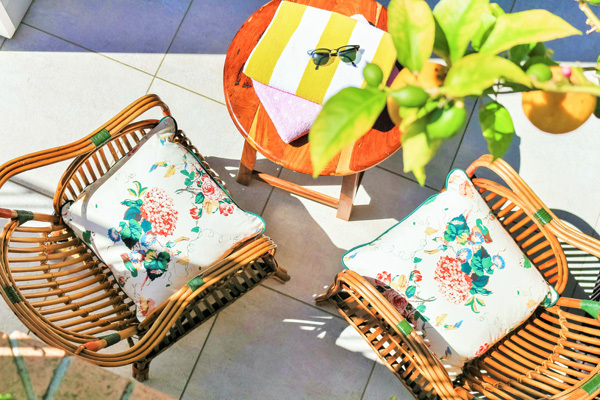 Although this apartment does not have a water view, it does open out to a huge, airy and private courtyard complete with your own lemon tree and herb garden. 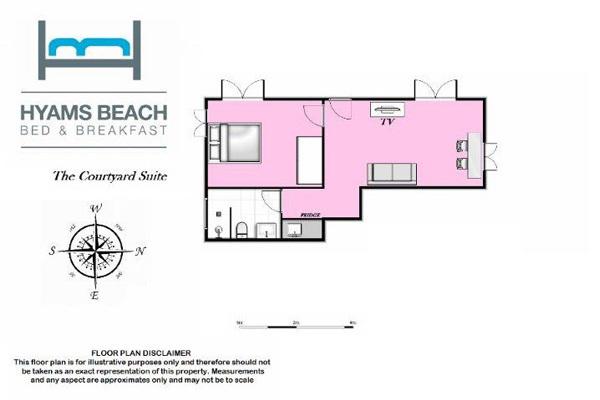 There is also an outdoor eating area and deckchairs just perfect for passing away the time with a cool drink and snack.